Sky has announced an overhaul of its pay TV packages, initially for new customers, but available to existing customers in the new year. The pay TV giant's current starter pack, the Original Bundle, is replaced by "Sky Entertainment". Both are marketed with a standard price of £20 a month, but Sky Entertainment will unlock access to around 80 more channels than the Original Bundle. Sky Entertainment becomes the new core pack for Sky TV, with all other extra channel options to be taken on top. Sky Kids add-on (+£5 a month) - all pay TV children's channels, plus Sky Kids App content. Sky HD add-on (+£5 a month) - access to the HD versions of the channels. Subscribers who only opt for Sky Entertainment will get these channels in HD where available, while subscribers who have also opted for the Sky Kids and/or Sky Box Sets will also get these in HD. Sky Sports / Sky Cinema / Sky UHD - as currently. Third party channels, e.g. BT Sport - as currently, although BT is increasing charges in the new year. A Sky subscriber who wants all the entertainment channels, plus box sets, plus children's channels, plus all of these in HD would pay a standard price of £35 a month. In a major change for Sky, the three add-ons can be cancelled with 31 days notice, although the core Sky Entertainment bundle, upon which the rest of the subscription package can be built, does have a 18 month contract attached to it. The £32 Variety bundle and £38 Box Sets bundle continue for existing customers, but from early 2018, existing subscribers will be able to switch to one of the new packages. However, once they have switched, they can't revert back to the old packages in the future. The Variety bundle included a number of channels that weren't available via the £20 Original Bundle, but will be available in the new £20 Entertainment Bundle. Some commentators have noted this change may mask the fact that an ever increasing number of entertainment, lifestyle and factual channels are now broadcasting free-to-air and no longer part of Sky's bundles. With Sky constantly offering special deals, including retention deals, some subscribers may be better off waiting until their current deal ends. Sky Sports F1, previously more widely available, will only be available as a standalone extra channel or part of a Sky Sports bundle in the new channel subscription structure. Apart from Sky Sports F1, there are no further changes affecting Sky Sports and Cinema options; Sky only recently changed the structure of its sports offer, with subscribers able to add individual sports channels to their subscription. Sky will apply a £6 a month charge to watch Sky Sports in HD. Sky Q and UHD charges are not part of these changes. 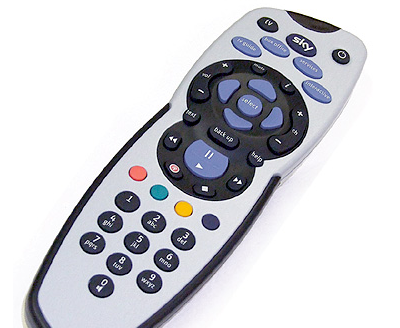 Existing Sky subscribers can find out how to switch to the new channel packages via the Sky website.